23-08-2009. ‘The root cause of all the typical problems in the world is mental instability and anxiety. The only solution to it is Meditation. The practice of Preksha Meditation helps successfully cure physical, mental and emotional problems. This has been practically experienced by us in many Preksha Meditation Camps—expressed Sadhvi Kanak Shri ji a learned disciple of Acharya Shri Mahapragya ji, addressing thousands of lay followers during Sunday’s discourse on the seventh day of Paryushan Mahaparva organized by Shree Jain Swetamber Terapanthi Sabha, Kolkata at “Pragya Samavsaran”, Mahasabha as ‘DHYAN DIWAS’. Opening the untouched pages of Lord Mahavira’s Divine life, Sadhvi Kanak shri ji enlightened the gathering with her graceful speech-‘ Mahavira had control over passions and senses in his youth. He lived a life of Saint, even staying in Palaces. He rigorously practiced ahimsa (Non-violence), Truth, and Celibacy. As a result he became unending source of vital energy and strength. Mahavira’s life teaches the youth to practice continence and self restraint so as to become healthy, strong, glorious, splendid and lustrous. 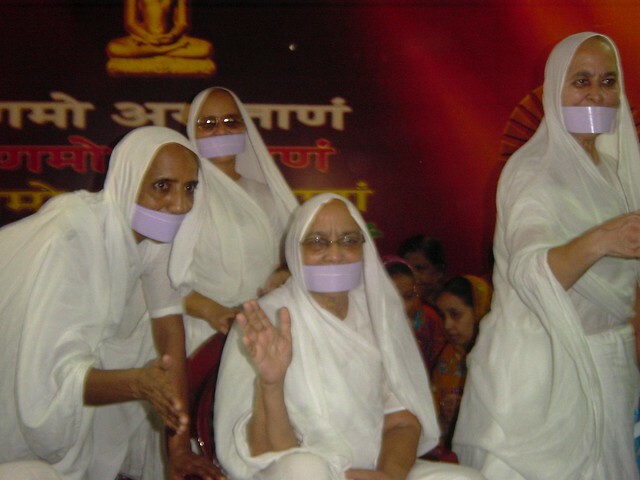 Sadhvi Madhulata ji enlightened the gathering with her speech on the subject - ‘develop the personality by continence’. 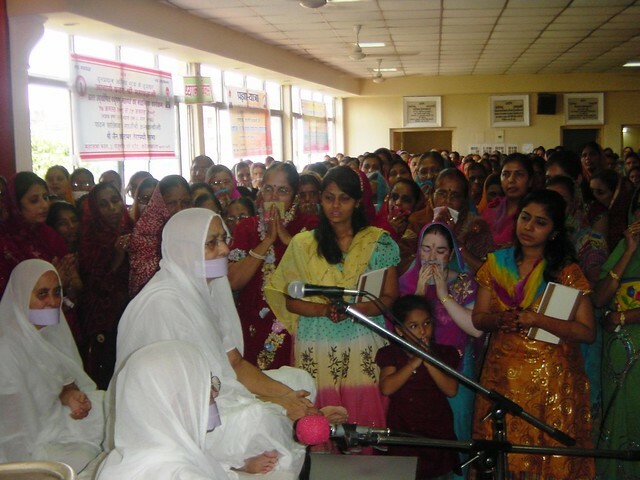 She also helped the audience with a short practice of preksha medition and gave useful tips to release tension. Sadhvi Madhulekha ji, expressed her graceful thoughts on the subject- ‘ Preksha Meditation- a tool to cure hundreds of diseases’. The whole of Mahasabha Bhawan became musical with chanting of chorus Song - ‘Sanyam Ki Shakti Jagayen’ meaning awaken the power of continence by the group of Sadhvi Shri ji. More than 50 persons collectively accepted vows to complete continuous fasting ranging from 7 days to 13 days. The number of girls and youngsters among them was remarkable. 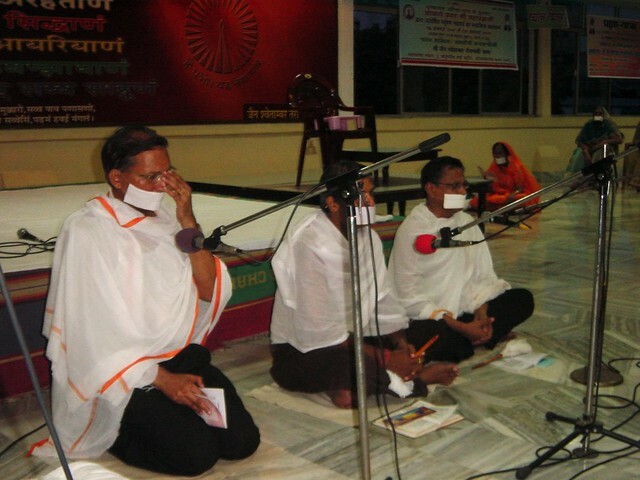 The regular evening Pratikraman was attended by over 500 lay followers. It was guided by Sri Naresh Nahata, Sri Karan Singh Nahata and Sri Sushil Choraria. The Purvanchal Sabha and Mitra Parishad members with great enthusiasm participated in the uninterrupted Namokar Mantra chanting in the night. 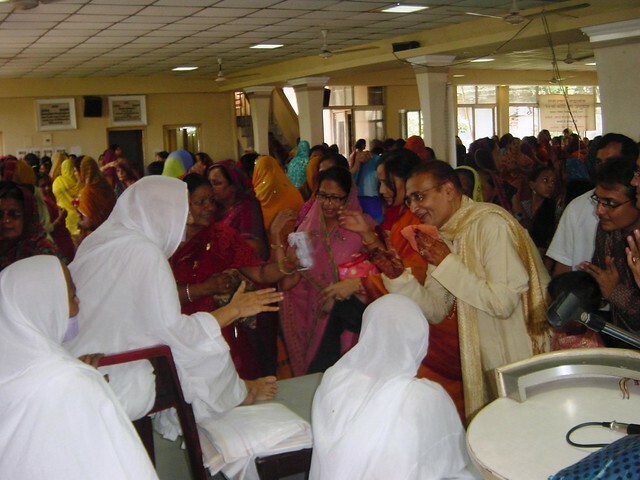 In the evening a unique Cultural programme based on the stories in Jain Agams was organized by Kolkata Mahila Mandal with many participants, mainly members of Kolkata, Wouth Howrah and North Howrah Mahila Mandal and students from the Gyasnshalas. The programme was compered by Smt. From Kolkata Mahila Mandal. The best presentations were awarded. Sri Karan Singh Nahata and Smt. Pratibha Kothari were the honourable judges of the programme.